It was a beautiful afternoon in Southwest Miami, where a combination of good pitching and hitting led the Eagles to a victory over the Varela 8-1, keeping their perfect record intact. The Eagles attacked from very early on, scoring three runs in the bottom of the first. An RBI double by Eddie Sierra, followed by Jordan Worley with an RBI single to left field, and a sacrifice fly to center from Evan Padron started the scoring. The Vipers scored their only run of the game in the top of the second, thanks to single to right by Jason Villalobos, scoring Christian Medina. The Eagles added one in the third and rallied for five in the fifth, with RBIs hits by Sierra, Worley and Padron. Southwest starter Michael Padron threw well, allowing only four hits in five innings of work, an earned run, while fanning three and walking two. 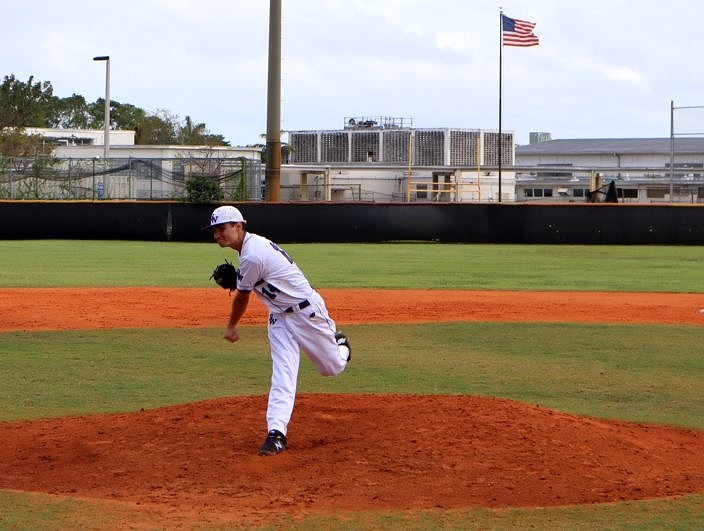 Padron also came up big for the Eagles last time he pitched against the Braddock Bulldogs, when he did not allow a run in six innings and won the game. His record now after today’s win is 2-0, with a 1.27 ERA and 10 strikeouts in 14.1 innings pitched. In relief of Padron came Amaury Villalba, who was throwing heat with fastballs sitting from 88 to 89 MPH. Villalba now in eight innings and a third pitched on the season, has yet to allow a single run or a walk, while striking out 14 opponents. On the other side of the field, the Vipers knew they had not played their best game. These two teams will meet each other again in late April. The Eagles will face Ferguson next, while the Vipers will host the Homestead Broncos.